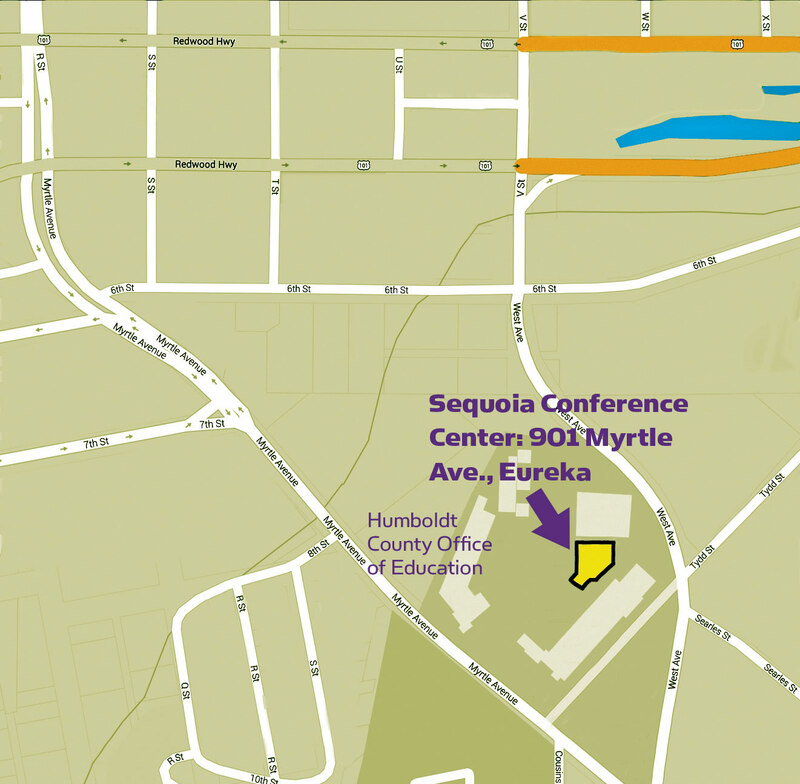 The Sequoia Conference Center is operated through the Humboldt County Office of Education (HCOE). The center is located at 901 Myrtle Ave., Eureka, across the parking lot next to the HCOE. OLLI at HSU hosts the spring and fall open house events at the center. There is plenty of accessible parking. Learn more about the OLLI at HSU Open House. Learn more about the Sequoia Conference Center at its website.